Richard lives in sunny Queensland in the valleys of the hinterland of the Sunshine Coast at Crystal Waters community, where he works as an astrologer and Feng Shui practitioner doing consultations and continues writing for various magazines and newspapers. He organises the 2 day Crystal Waters Astrology Conference each year. The Conference in 2008 is on September 13th/14th, the weekend of the triple conjunction of inner planets in Libra. Both Pluto (the transformer) and Jupiter (the king of gods) have been recently moving through Sagittarius, the adventurous Fire sign. Pluto has been there 12 years and Jupiter for one year. The next sign on from Sagittarius is Capricorn and it's more of an earthy, hard and structured, ambitious Earth sign. Sagittarians are the adventurers of the zodiac and Capricorns are the stay at home, reliable, cool achievers. Jupiter is now moving swiftly through the latter degrees of Sagittarius to cruise into Capricorn on the 19th of December. It will be transiting that Cardinal Earth sign then for approximately a year (Jupiter spends a year in each sign). As it does so, these two powerful cosmic influences line up in a conjunction and share their respective energies. They are together between the 10th and the 15th of December, but the effect is felt pretty much all month. What can we expect? A quick summary of the Jupiter and Pluto conjunction: in a birth chart it represents a desire to influence others, great achievements, leadership, big ideas, plutocracy, extraordinary abilities, seizure of power, grandiosity, self-confidence, exaggeration, success, and imposition. There's an energy to engage in philosophising, forming strong opinions, intensifying beliefs, and intense searching for reasons for living. Under this influence we will not be willing to give in until the deeper questions on life are answered. Opinions are promoted with passion and intensity. We search with conviction and, minds made up, we cannot then be shaken from our position. There is also an urge to control – and to get to the bottom of stuck situations. We find this aspect in the birth charts of great reformers, leaders and charismatic personalities. Power struggles can emerge if people get too locked into their ideals. With Jupiter (king) and Pluto (the underworld) blending we'll experience much in the way of big schemes and grandiose ideas plus perhaps an autocratic leader or two having a grab for power. We'll also see reforms beginning in systems of capital and money. The two of them lay the grounds for the next 16 years of Pluto in Capricorn: the reform of money, banking and big business now becomes serious. It's always good to look at previous times this happened in the heavens. Jupiter and Pluto conjoined last in late 1994 in Scorpio and previously in late 1981 in Libra. All Jupiter/Pluto flavours in the following years featured the characteristics of the sign concerned. Since the 1994 cycle, there has been an intensity edge – and Scorpio is a sign of large international business companies. 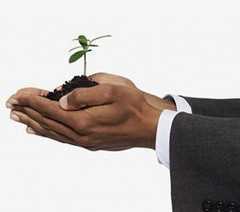 The current trend of take-overs and consolidation of large international companies had its origins back then. After the Libra conjunction the flavour was more to do with social changes and justice issues. In 1981 the UN High Commission for Refugees won the Nobel Peace Prize. And, in India in 1982, the government at last banned all industrial and polluting industries from a large zone around the Taj Mahal, to preserve its beauty (very Libran!). The Jupiter/Pluto shift of December 07/January 08 marks the beginning of the move to a more responsive system of western capital and big business systems, but first we have to have the readjustments, as the old makes way for the new. Jupiter (expansiveness) and Pluto (regenerational energy) announces the move from unresponsive to responsible. However, we need to break down the unbendable parts of the old to open up opportunities for the new. And that's what's going to happen for us all over the next three to five years, as Pluto bores its way into the solidity of Capricorn and aligns first in a difficult square aspect with Saturn in Libra (2009 to 2010) and secondly with Uranus in Aries (2012 to 2015). Saturn in Libra will restore justice to authority systems and Uranus in Aries will pioneer totally new ways of looking at freedom and innovation. On the 10th December 'Led Zeppelin', considered by many the greatest rock band in the world and certainly one that's eclipsed both Beatles and Stones concert sellouts in the past, played again after 27 years apart, live on stage. You can find Jupiter in there easily with Led Zep being the kings of rock. Depending on which estimate you believe, somewhere around 20 million (or perhaps up to 200 million) people attempted to buy tickets for the show online. Those 18,000 who succeeded are understandably in the mood for Jupiter/Pluto's extraordinary abilities, grandioseness, self-confidence, success and the loudest music in the world. Stairway to Heaven, one classic number, clearly projects the higher side of Jupiter/Pluto and they played the revival concert (back from the dead with Pluto) within a day of the key date. 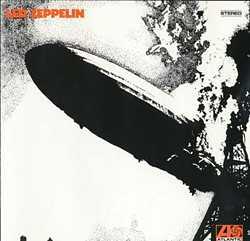 Their very first album, Led Zeppelin, with the burning Hindenburg zeppelin on the cover, was recorded in October 1968 just as Jupiter/Pluto conjoined in Virgo. Now they've staged the 2007 revival concert as they square the original 1968 connection. The dates of 11/12/13th December are the most important dates for the Bali UN Climate Change Conference running from 3-14 December. On these mid-December dates high-level meetings take place where the key decisions for the next decade of climate change moves are all made – right on the key moments of the Jupiter/Pluto conjunction! Will we get "great achievements, leadership, big ideas" as I've said here, or will it be more manipulation of goals? Hopefully, we'll get visionary moves from this Bali Conference as a distinct possibility. Jupiter/Pluto will certainly provide leaders in Bali with the energy to do the right thing... watch the conference to see how they use Jupiter/Pluto energies. This will give us a clue as to how we'll collectively tackle the next five years. During the week of the Solstice (17th to the 23rd of December), there's a conjunction of the Sun, Mercury, Jupiter and Pluto opposed to Mars retrograde in early degrees of Cancer, joined by the Full Moon in Cancer on Christmas Eve, December 24th. This begins the activation of zero degrees of Cardinal signs, the Cardinal Cross, the four most sensitive points of the zodiac, and will bring on the first changes, just in time for Christmas! The early degrees of the Cardinal signs are of great importance, because within a few years, three major outer planets, Pluto, Uranus and Saturn, all set off these early degrees and further the beginning of a new era countdown to the next human evolutionary cycle, post 2012. Richard Giles is a Feng Shui practitioner and astrologer who is available in Australia for consultations on your home and business. He has been involved in astrology for 20 years and writes for several Australian magazines. He organises the 2 day Crystal Waters Astrology Conference each year and the Conference in 2008 is on September 13th/14th, the weekend of the triple conjunction of inner planets in Libra. Click to contact Richard Giles.